It was a scene straight out of the movie, Office Space. The Vice President of Customer Service called a meeting of directors, managers, and supervisors. He stood under a banner that read "One Call Resolution" and proclaimed that solving customers' issue on the first call would be our focus. Just like in the movie, people listened silently though nobody really believed him. Cost savings was the motivation behind this initiative. Repeat calls cost money and the company was light on cash. The VP was getting pressure to cut costs. Unfortunately, the initiative started and ended with that meeting. The "One Call Resolution" banner was the only tangible step taken to improve. Meanwhile, the solution to the problem was literally sitting in the parking lot. The One Call Resolution meeting happened in 1998. I was a call center training supervisor at Chadwicks of Boston, a catalog company that primarily sold women's clothing. The number one reason for repeat calls was a customer checking the status of a return or exchange. Customers would mail back an item expecting either a refund or a replacement item sent out in exchange. A couple of weeks would pass and they'd call to check the status. Tracking packages was a lot more difficult back then. We didn't have handy websites that told us the precise location of a shipment. 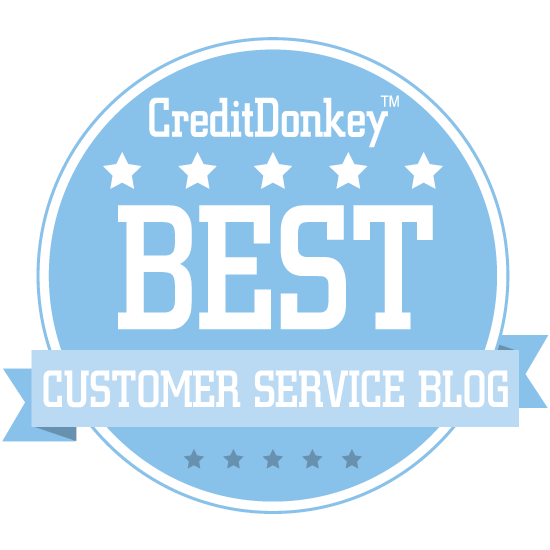 There were many times when the best a customer service agent could do was tell the customer we hadn't received it yet. The truth was we probably had the customer's shipment on site. At any given time, we had a backlog of six weeks worth of unprocessed returns. These packages were in truck trailers parked at our warehouse, waiting for our warehouse returns staff to open them and record each return or exchange in our computer system. The company's average return rate was 25 percent. I'll save you the math—a six week returns backlog meant 3 percent of the company's annual inventory was sitting in the parking lot, completely useless. Put another way, that inventory was worth about $6 million. The returns backlog was a known issue. So why wasn't it solved? A lack of resources was frequently blamed. The issue was really more complicated than that. Customer service came out of one budget. The fulfillment center, which processed the returns, came out of another. The challenge was the fulfillment center was under the same pressure to cut costs that the customer service department faced. It's managers didn't want to invest in the extra staffing necessary to clear out the backlog. Temporarily staffing up to clear the returns backlog would free up $6 million in inventory. Processing returns faster would reduce customer service calls by 10-20 percent. That's an estimated $1-2 million in additional savings. Faster returns would increase customer loyalty, which translates to revenue growth. That extra cash would have helped improve customer service and reduced some of the cost pressure on the call center. Alas, it never happened. The cash crisis continued, customers defected in droves, and many people would up losing their jobs. Inventory issues can plague businesses in many ways. Here are a few more examples. Dead Space. Inventory takes up valuable warehouse space. Having too much on hand, especially products that don't sell fast, causes a business to over-invest in space or utilize the space it has inefficiently. Product Confusion. There's a shop in my neighborhood that's full of every random trinket, knick-knack, and gift item imaginable. You'd never guess that the shop primarily provides small business services such as copying, shipping, and private mailboxes. All that extra inventory clutters the shop and makes it more difficult to sell the company's primary services, which ultimate hurts revenue. Slow Movers. I once worked for a catalog company that sold collectables from the former Soviet Union. We carried some unique items, such as an actual cosmonaut space suit. The challenge was these one-off items were expensive and would often sit in our warehouse for years until we found a buyer. That extra inventory represented a significant investment that hampered the company when it tried to expand and ran into cashflow trouble. Phantom Stock-outs. In her book, The Good Jobs Strategy, Zeynep Ton shared how phantom stock-outs contributed to the demise of the once-popular Borders Bookstores. A phantom stock-out occurs when the inventory system shows and item is in stock, but it can't be physically located. If your company has physical inventory, I encourage you to look for ways that inventory may be hiding cash that could be used for something else.